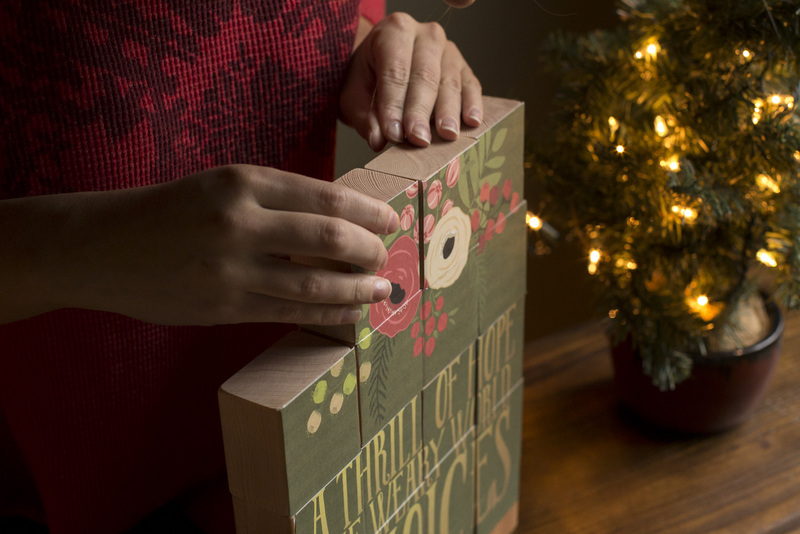 The first step of your advent calendar is to come up with a design. 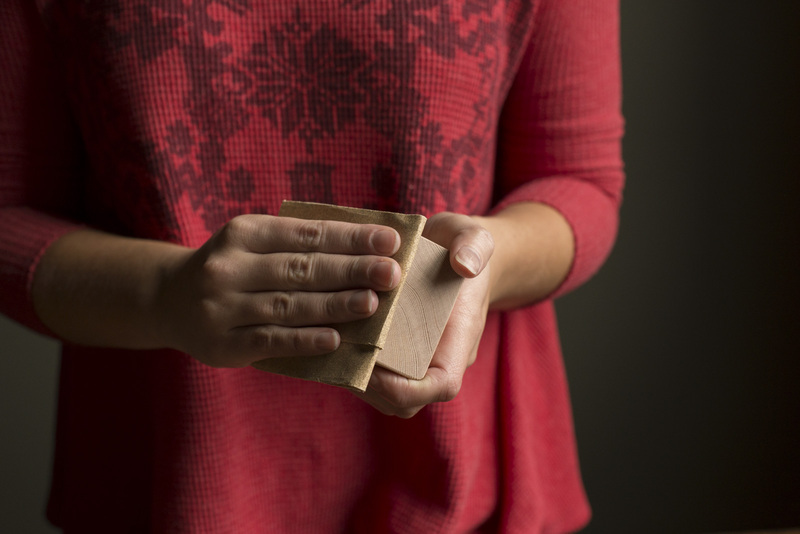 You can make your own, use a print you have at home, or find one online. We did some searching on Etsy and found this charming Christmas print by The Orange Leaf. We like this one because the design covers the whole print so that each day we turn a block around there will be something added to the picture, not just background. We purchased and downloaded the image and printed it out 10”x12 ½” onto thick paper. Since it was too large for one piece of paper, we printed it out in quarters of 5"x6 ¼". 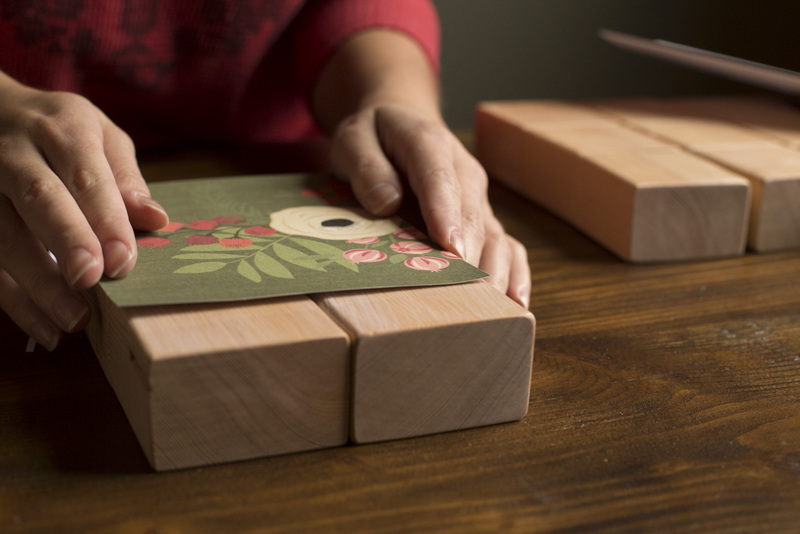 Cut the 2x3 into 2 ½” squares. You will need twenty-four, but an extra one or two allows some room for error. Sand and round the edges and corners of the blocks. This can be done by hand, but if you have a sander it's much quicker and easier to get a rounded edge. 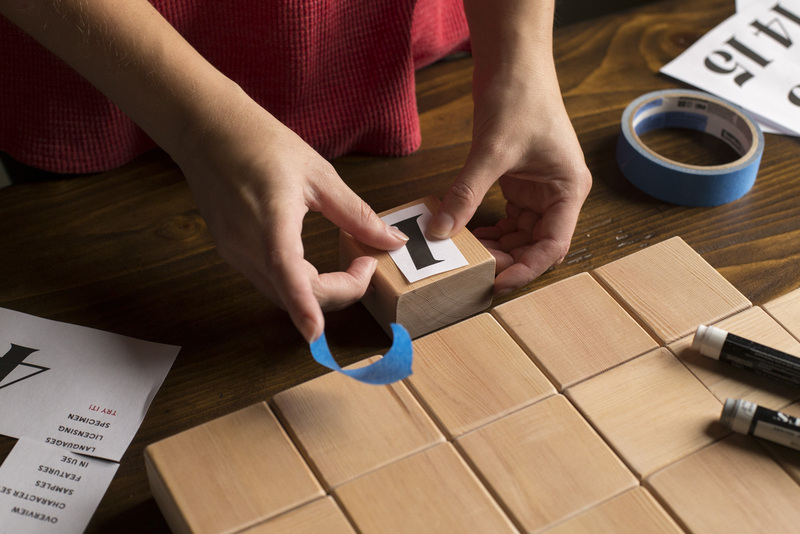 Cut out the numbers individually and tape the number down in the center of each block keeping the grain moving vertically. Trace over the outline of the number firmly with a pen. This will leave a faint indent on the wood to use as a guide. 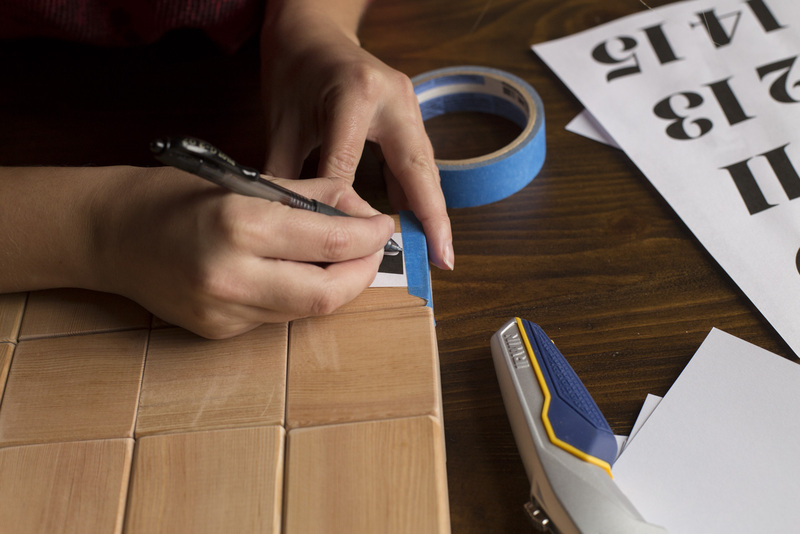 Pull back the paper and check the outline before removing tape; retrace over any lines that didn't show up. 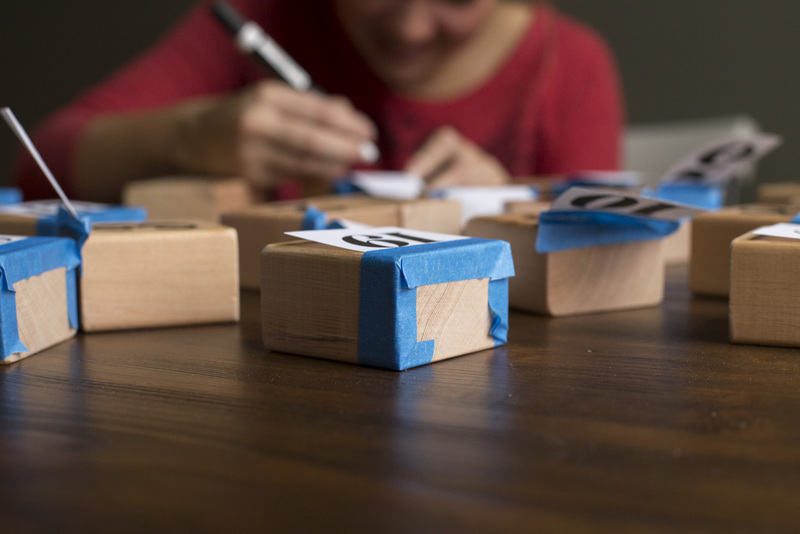 With a black acrylic paint marker (or an acrylic paint and a brush) trace over the outline on the block of wood and fill in. 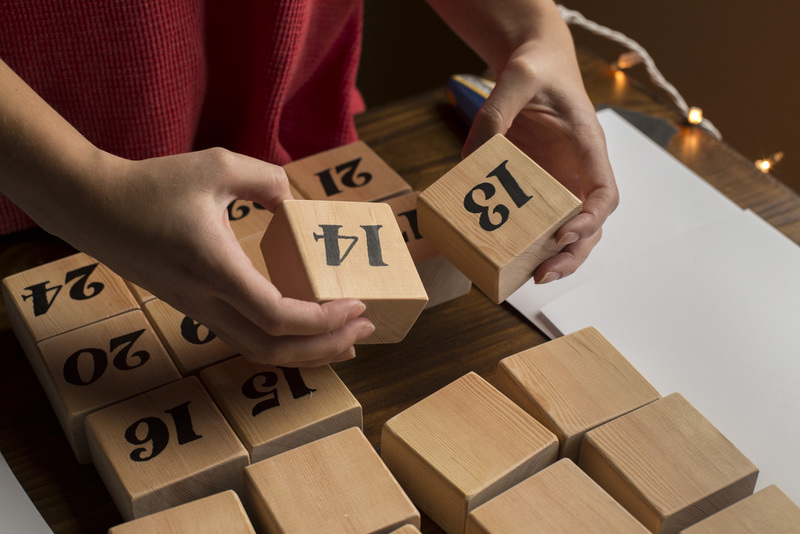 Any of the middle blocks (numbers 5-20) can be turned around and started over if mistakes occur because they’ll be covered with paper. The top and bottom row have exposed space, so they will need to be sanded down in order to be redone. We may have learnt this the hard way. 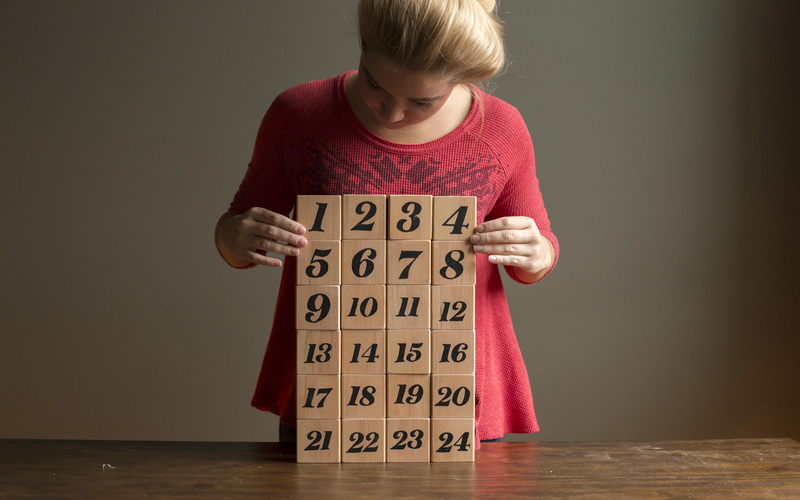 When the numbers have dried, lay out the blocks in order from 1-24 and in six rows of four. One by one, turn over each block. 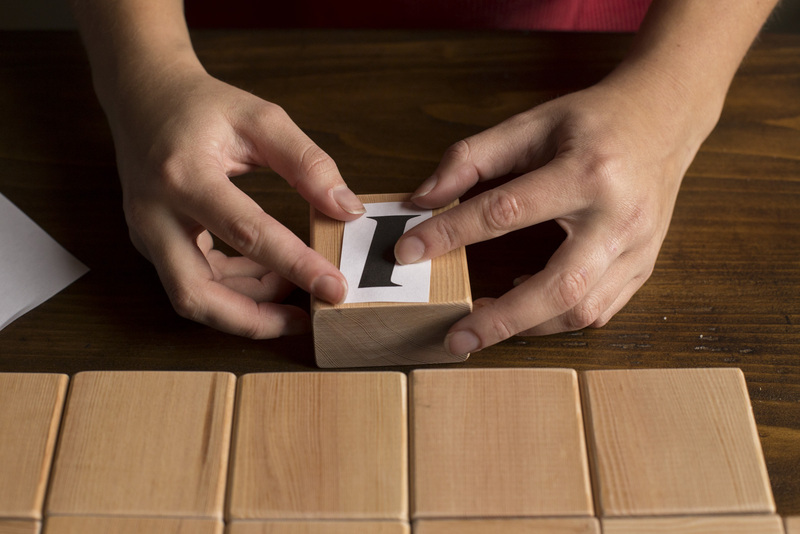 Cut out the print and line it up on the blocks making sure all the measurements match up. 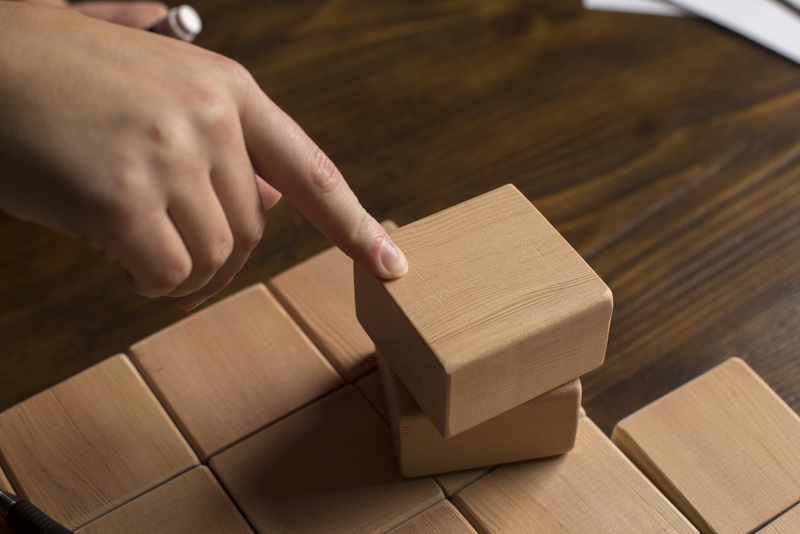 Divide blocks into four sections of six. 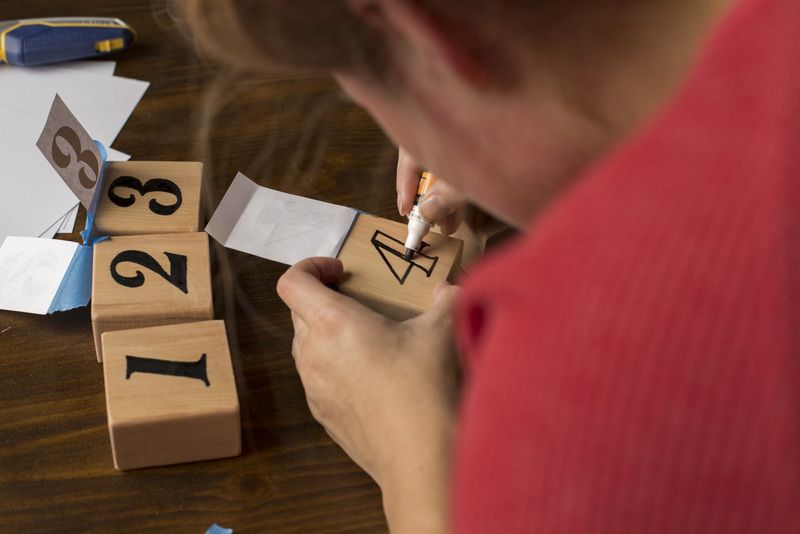 Apply Mod Podge individually to each one, making sure not to mix up the numbers or place one of them upside down. 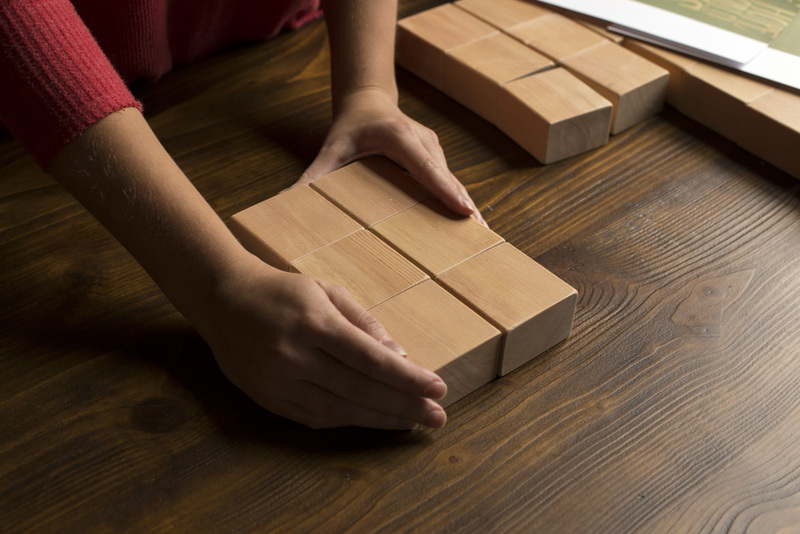 Make sure the edges of the blocks are flush and are all as close together as possible. Then lay down the paper on the blocks. 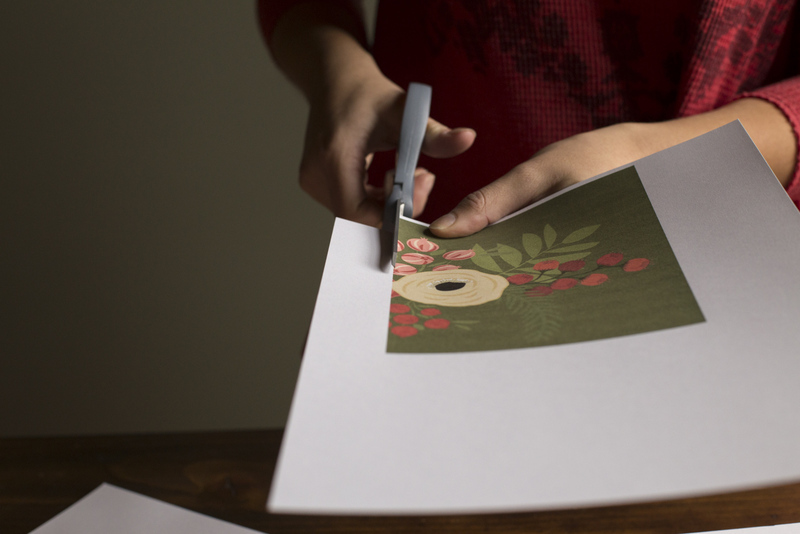 Keep the inside edges of the print lined up with the edges of the blocks and press down firmly. Repeat steps 7 and 8 with remaining three sections. 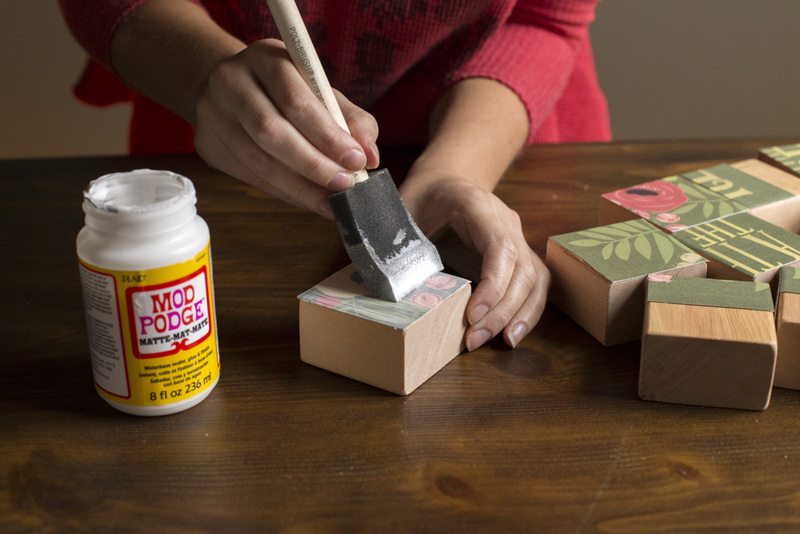 Allow the Mod Podge a few minutes to dry. 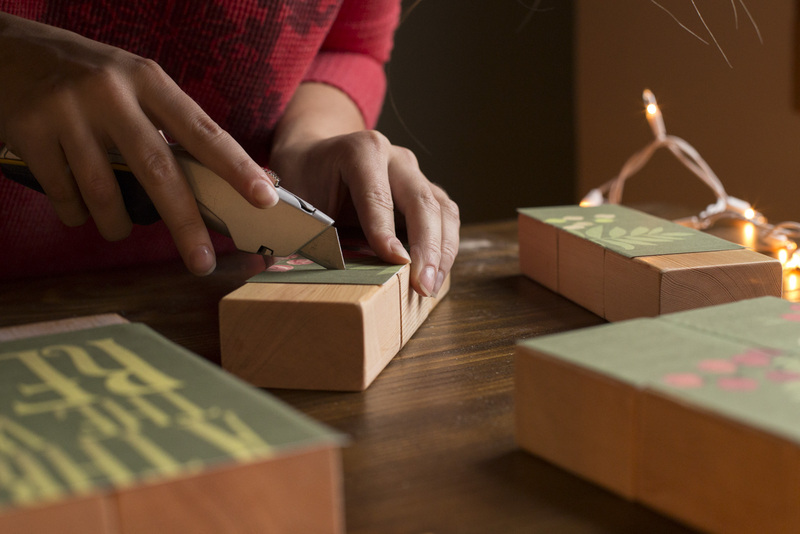 With a utility knife, cut off any overhanging pieces of paper or press them down around the curve of the wood and glue in place. 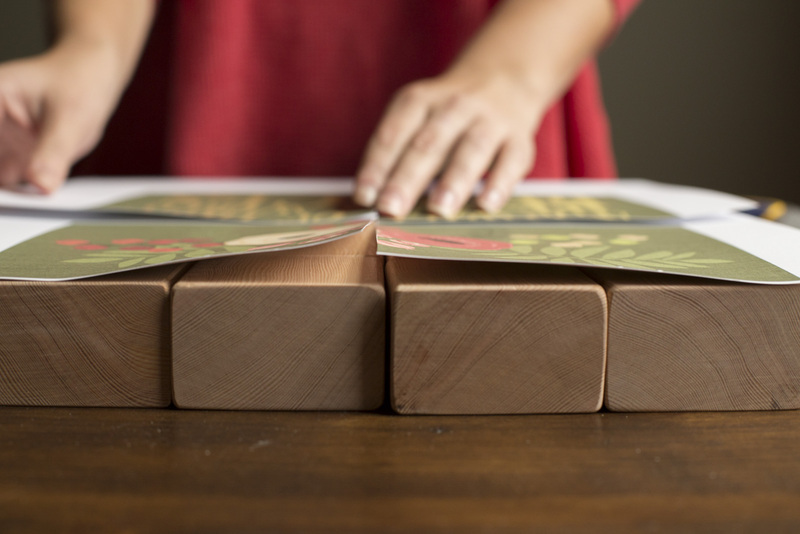 Cut through the paper in between the blocks to separate each one. 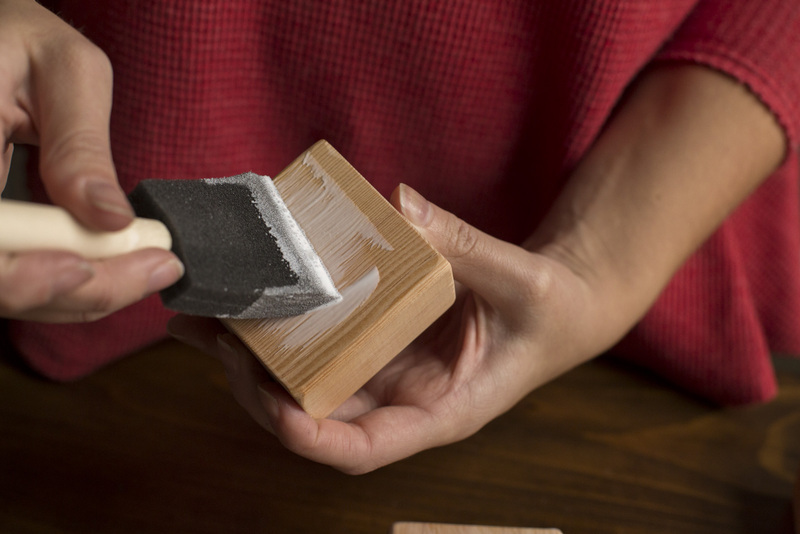 After the glue has fully dried, add a coat on top of the paper to protect it and to create a nice finish. Allow top coat to dry. 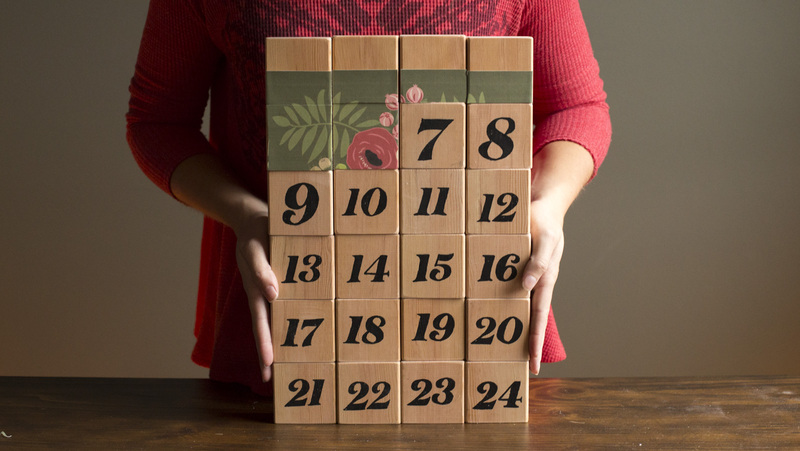 Stack your blocks in numerical order, and as each day of December passes, turn a new one around to reveal the beautiful picture!